I’m really excited about tomatoes right now. For the last ten years, since the first year we lived together, Dennis has been planting tomatoes. The first few years, when we had a spectacular garden behind our little rented cottage in Rockridge, the tomatoes were amazing and plentiful. The next several years, we moved a lot, and the tomatoes really never ripened as well as those East Bay stunners. 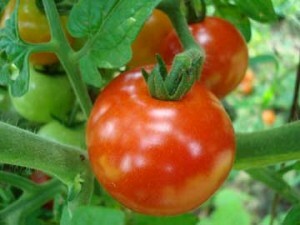 This season brings our first crop of tomatoes in our Sugartown house. And they are scrumptious. I’m so inspired by the taste of this fruit, by the fact that, when I pick one in the heat of the day, I can taste the spirit of the California sun in each bite. So I’m going to make sauce. Lots of sauce. 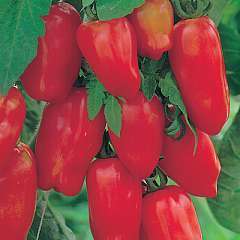 I called a local organic farm that is expecting a bumper of San Marzanos later this month. Zoe from the farm is going to call me when they have the tomatoes that won’t sell at market because they are too ripe or less than perfect. I’m going to drive up and get those tomatoes, and with a little advice and equipment borrowed from Leigh’s chef friend, Ingrid, I’m going to jar sauce. This way, I can feed the family on the California sunshine all winter long. How pioneerish, right? Like I said, I’m excited. I’ll let you know when the call comes from Zoe and take pictures of the process. In the meantime, I want to share a sauce recipe I made up the other day. I went out to the tomato vines with my bright red colander and picked a handful of Super Sweet 100 cherry tomatoes (vine selected and planted by Dennis) and a few Early Boys (selected and planted by Little J). I pulled off the greens and put the tomatoes right into the slow cooker. I drizzled olive oil and about a quarter cup of red wine over them. I added some sauteed onion, garlic and red pepper. I sprinkled on salt, pepper and oregano. Then I cooked them on low for four hours. When Little J and I came back from the pool, the house smelled heavenly. The tomatoes had released a lot of liquid, but were still whole (!?). I smashed them up with a wooden spoon and added a small can of Muir Glenn organic tomato paste. Then I let them simmer for another hour. The smell was intoxicating. I blended the sauce with my Braun immersion blender, which is the best cooking tool ever because you don’t have to transfer hot contents to a blender. Then, I pressed the liquid through a fine mesh colander to separate out all the skins and seeds. The result was a creamy, delicious sauce that looked like a too thick tomato soup and tasted like a balmy evening in southern Spain. We dined alfresco that evening as it was the hottest night of the year. Little J ate shirtless and shoeless. He devoured a plate of ravioli smothered in the sauce made from the tomatoes he grew. 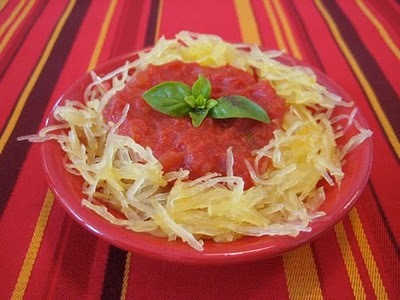 Then he played in the back yard while Dennis and I ate the sauce over shredded spaghetti squash (which looks like pasta. Have you cooked this? It’s amazing). I’d added some fresh basil during the last ten minutes of cooking and a little chevre to gild the lilly. Wow. What a satisfying meal. A little bit of heaven from a little red fruit and a gorgeous end-of-summer night. Dennis and I sat outside later with a glass of wine and drank in the stars for dessert. Perfection. I think the tomato is my favorite fruit. Mouth-watering post, Jen! That recipe sounds fantastic and I’m going to try it! I grew some cherry tomatoes on my balcony this summer and the taste was beyond words until now. With each bite, I taste “the spirit of the California sun”… yup, that’s it! and they’re so alive. Beautiful photos and beautiful post. Thanks again for sharing. Sounds like some blissful moments up there in Sugartown! 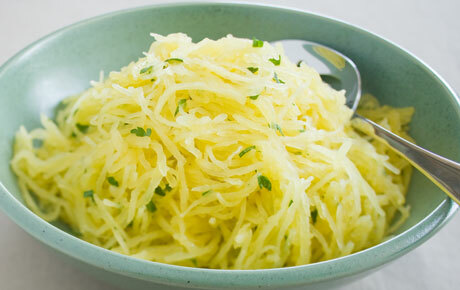 I love the idea of the shredded squash Jen – never seen it before though, what would that be called ‘down under’ do you suppose? I’m looking forward to some serious summer fruits and vegies coming up I can tell you. Spring is definitely in the air here though, I can smell it on the breeze and at the beach and feel it in the air. Hurrah! That’s a good question, Jo. I don’t know what they’d be called down under. Let me know if you discover it.